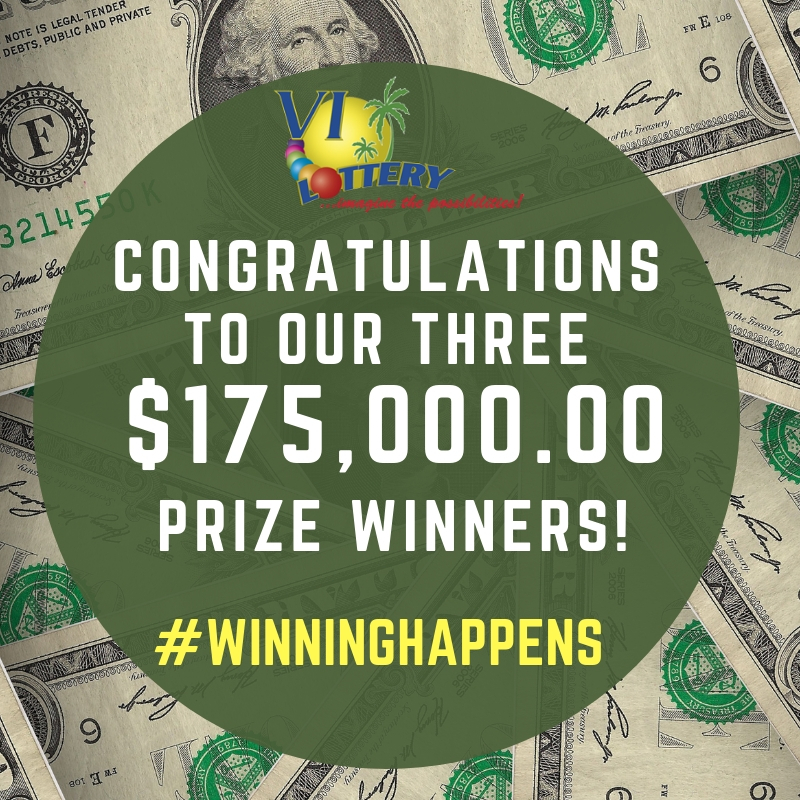 Virgin Islands Lottery - Did I Win? #934 Apr 16, 2019 - Butterfly Ticket#933 Apr 04, 2019 - Seasonal Island Fruits Ticket#932 Mar 21, 2019 - Happy St. Patrick's Lucky Ticket#931 Mar 07, 2019 - Wildlife of the World Ticket#930 Feb 21, 2019 - VI Lottery Classic Ticket#929 Feb 07, 2019 - Women of Black History Ticket#928 Jan 24, 2019 - Buganvilla & Roses Ticket#927 Jan 10, 2019 - Crucian Christmas Festival Ticket#EX-74 Dec 13, 2018 - Christmas Extraordinary Golden Ticket #926 Nov 15, 2018 - Happy Thanksgiving Day Ticket#925 Nov 02, 2018 - Veterans Day Ticket#924 Oct 18, 2018 - Breast Cancer Awareness Ticket#923 Oct 04, 2018 - VI PR Hispanic Heritage Select the drawing corresponding to your ticket. It defaults to the most recent drawing. Full Sheet of Tickets Partial Sheet of Tickets To help calculate how much you have won, let us know if you purchase a full sheet of tickets with that ticket number, or just a certain number of tickets. And if a certain number of tickets, enter the Pieces of Tickets. To help us calculate your winnings, enter how many pieces of tickets you purchased with that ticket number. A Traditional lottery ticket sheet with $175,000 grand prize can have up to 20 tickets on it. 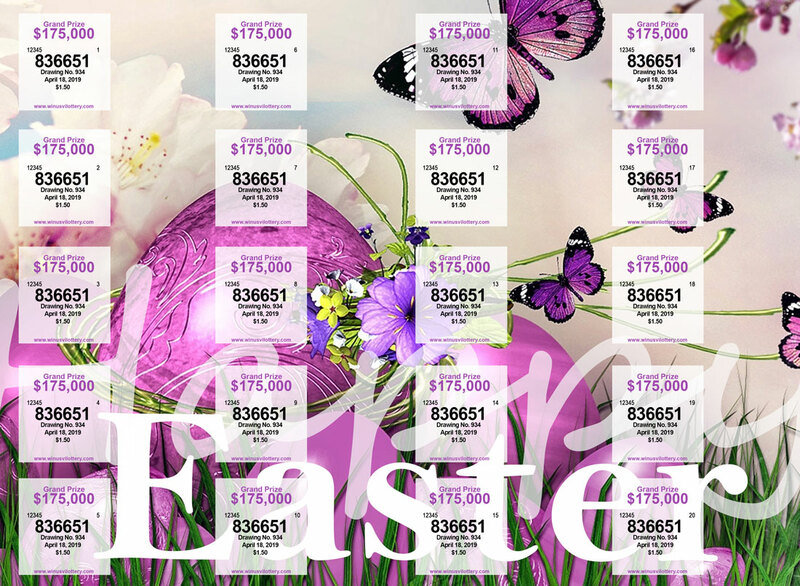 The Extraordinary lottery ticket sheet with $500,000 grand prize, can have up to 25 tickets on it. Select the drawing for the ticket your purchased. It defaults to the most recent drawing. Enter your ticket number (ONE TICKET NUMBER AT A TIME), which is the large number on your ticket (between 1 - 999999). To help us calculate exactly how much you have won, let us know if you have a full sheet of tickets or a partial sheet of tickets (Pieces of Tickets). If you selected 'Partial Sheet of Tickets', specify how many tickets you have with this ticket number. Where to find the Ticket Number, Drawing Number and Drawing Date on your ticket. Drawing results are posted online by 8pm on the day of the drawing. Your patience is appreciated, as the drawing results must be verified by the Board of Drawing after the drawing, and are usually made public by early evening. Join our mailing list for instant notification of results as soon as they become available. and many more prizes, search your ticket number! 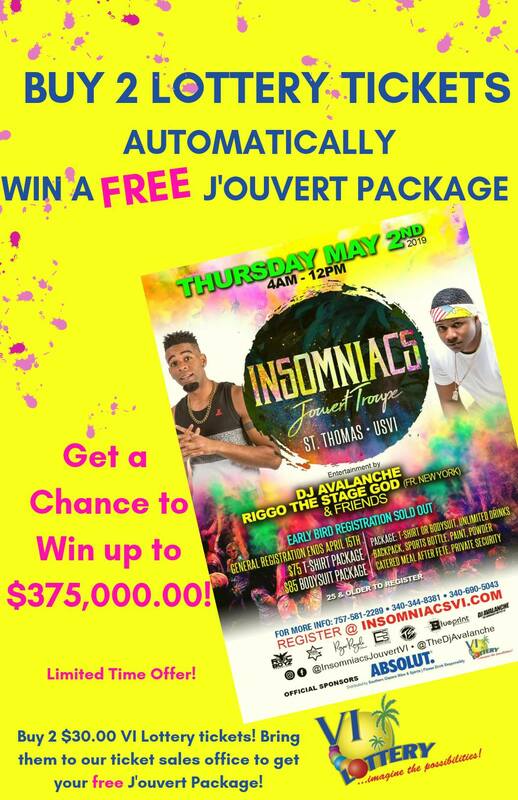 Next drawing date: Tuesday, May 7, 2019 - #933 - VI Lottery Carnival Ticket. VI Lottery Drawing #935 - VI Lottery Carnival Ticket is Now on Sale! 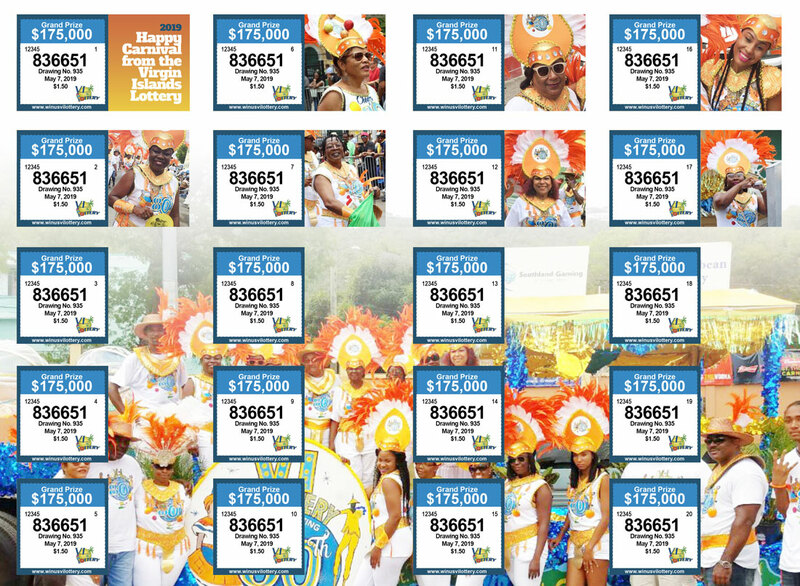 $175,000 GRAND PRIZE and Over $704,300 IN CASH PRIZES! Tickets are available now at your local lottery office or dealer. Individual tickets are $1.50 each, or purchase a full sheet for $30.00. 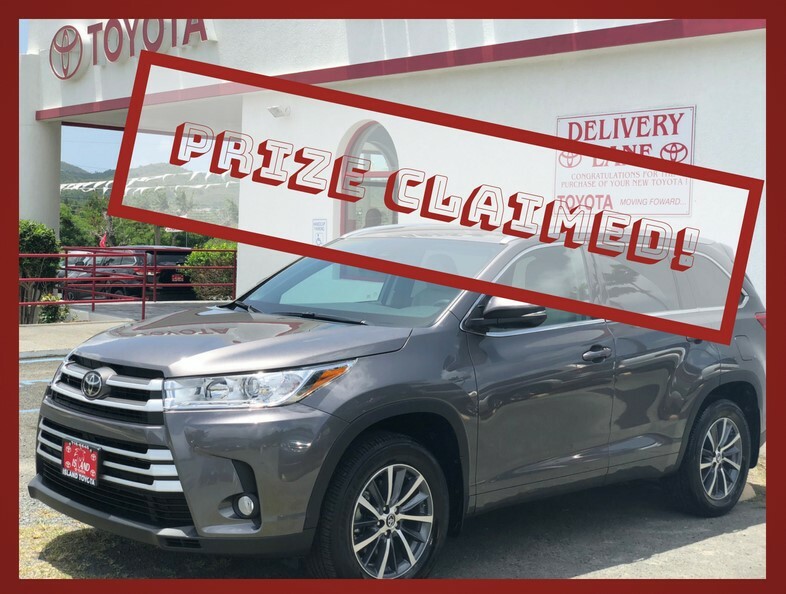 2018 Toyota Highlander July 26 EX-73!